The common solution for all of the above problems is to pop a calcium or D3 supplement. It’s true though, a deficiency of these vitamins can cause all of the above, but there are many ways of looking at this. You can be popping the best brand of supplements, but remember, it just does not work that way. For Calcium to get absorbed into the bones, your D3 levels have to be adequate. If it’s not, your calcium supplement is being wasted, so are the foods rich in calcium that you are consuming. Furthermore, Vitamin K is such an ignored vitamin. You should know that Vitamin K is needed for the bones to absorb Calcium. Vitamin K is found in dairy products and green leafy veggies. Here’s how it works – For strong and healthy bones, joints and a super strong spine, you need sufficient calcium, D3 and Vitamin K for it to work effectively. I should add in B12 as B12 is necessary for healthy bone marrow and for the body and spine to grow stung and healthy. – Regular and smart exercise. – Stretching, warm up and cooldowns. – Knowing your tight muscles and working on flexibility. – DO NOT SIT IN ONE PLACE FOR MORE THAN 30-45 MINUTES-This is too much strain and stress on your lower back/sacrum and it leads to lower back, sciatica and lower body aches and pains. Look for nutrition in fresh and real foods. Supplement only if you have to and if you have a deficiency. The choice of preventing or healing yourself from pains is up to you and how you want to deal with it. But, make sure you keep up with nutrition, exercise, rest and have a positive attitude. Yes, I am suffering from lower back pain from past one year and no medicine can gave me relief permanently. Can you share some exercise or medicine for this pain? I am really get bothered from my pain. 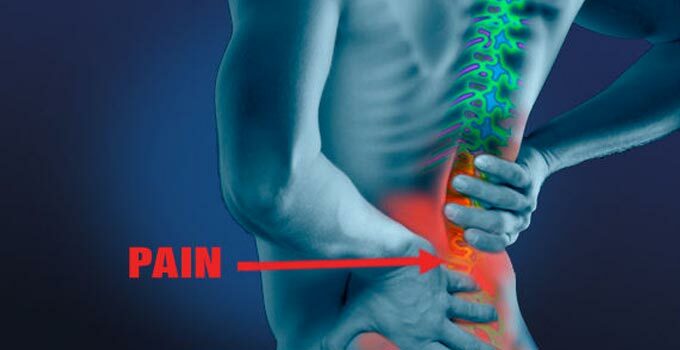 Is calmag is better way to cure lower back pain. You might wish to clarify that it is vitamin k2 that is needed for the bones which comes from fermented foods that we don’t get enough enough of. Vitamin k1 you get from vegetables and is for blood clotting and most people do get enough of that. Hi… luke , how are you ? Can you please suggest me the name of tablet or capsule can I take for vitamin K and vitamin D for back pain.. I am too much suffering from back pain when I do legs or back workouts.. I have been having serious lower/waist problem, for quite a long while, i have done xrays and it just shows nothing severe, but the pain is still there. i have done TB tests and its come out negative, please what do i do? it disturbs me if i sit for long, it also disturbs me if i sstand for long… i am 25 years old by the way. I’m suffering with low back pain only on left side, bt it’s not a kidney prob or infection. Bt I’m getting severe pain. Can’t jog or walk for a long time. This was a excellent informative post you have shared on this page about the suffering from lower back pain due to the calcium and vitamin but If you look at the ingredients and see the words “partially hydrogenated,” then the product contains hidden trans fat that can contribute to a painful flare up. Walk toward the fruit and vegetables, which are rich in anti-inflammatory agents such as omega-3 fatty acids. Some good choices include soybeans, Brussels sprouts, kale and spinach. Other foods that are rich in omega-3s include fish, walnuts, flax seeds and chia seeds. Cucumen, which is found in the spice turmeric, also helps with inflammation and can be added to almost any dish you’re preparing. Knowledge can keep us more healthy and this article is the source of knowledge. Such amazing knowledge you are sharing.